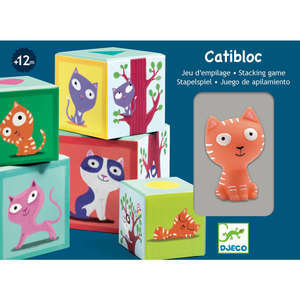 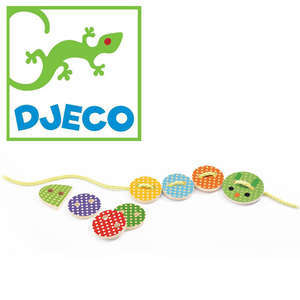 Cuddly lacing Doudous is a fun lacing and threading toy from Djeco. 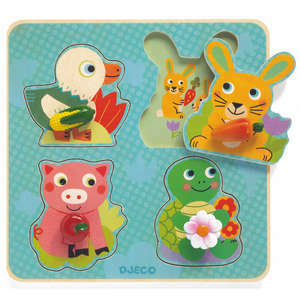 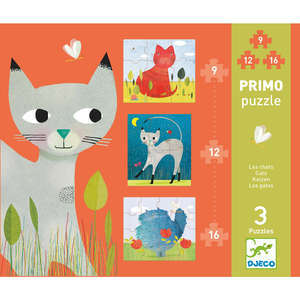 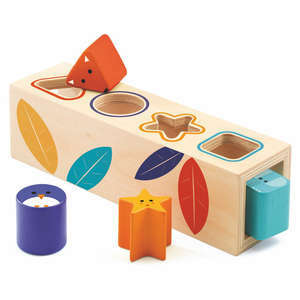 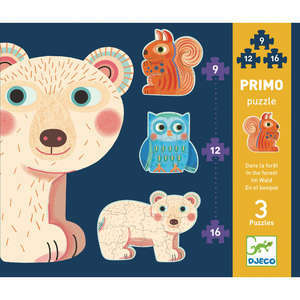 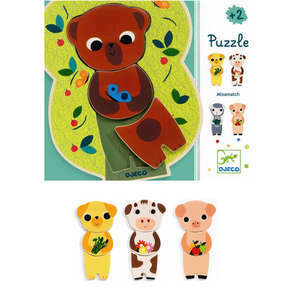 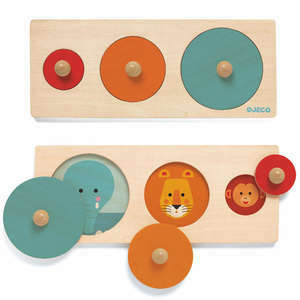 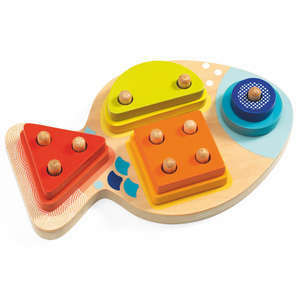 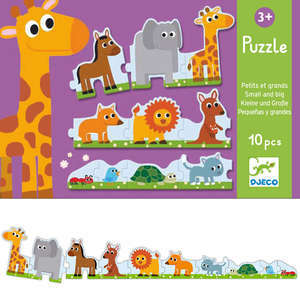 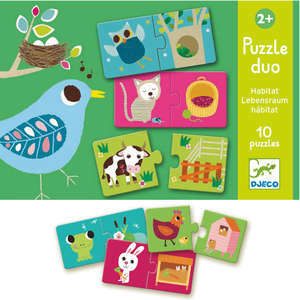 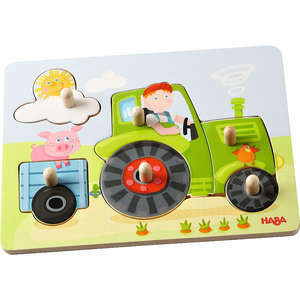 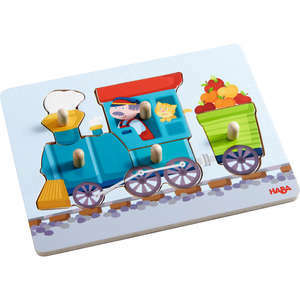 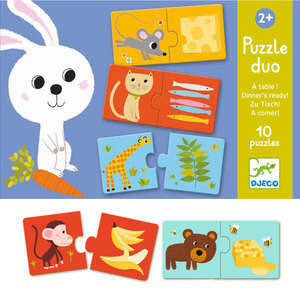 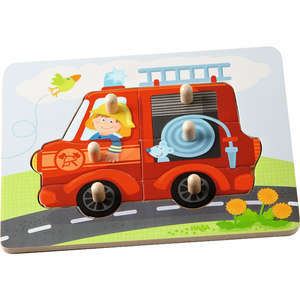 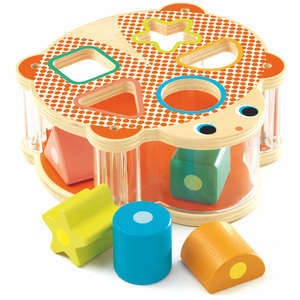 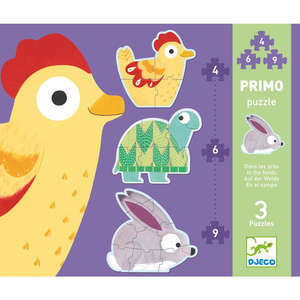 The set includes four chunky wooden animals, four vibrant lacing cords and two funky buttons for children to add to their creations. 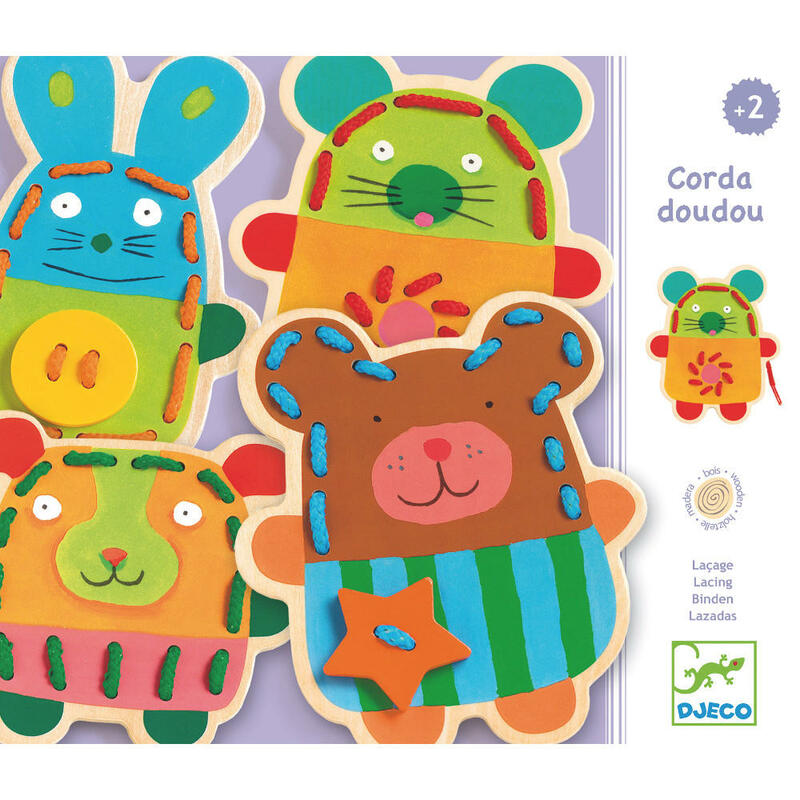 The cuddly animals are very colourful and are a good size for small children to hold while they learn to thread the laces through the holes. 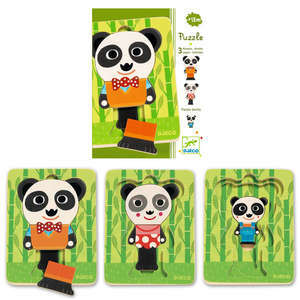 Height of figures approx 14.5cm - 6".